You have strategies and goals to improve safety, reduce speeding, and address all road user needs. But how will you make them a reality? Join us at the 2018 Traffic Safety Conference from August 8-10, 2018 and bring your plan to life. With conference sessions focusing on successful program implementation and an exhibit showcasing the products and solutions you need to get there, the Conference has everything you need to get you started toward safer, better protected streets. Traffic Logix will be exhibiting our innovative traffic safety solutions at the Sugar Land Marriott Town Square in Sugar Land, TX. 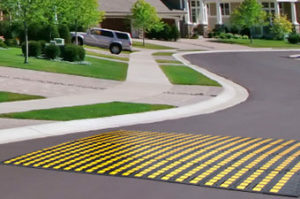 With solutions that address the most pressing traffic safety needs of today’s roads, Traffic Logix products help slow cars down, reduce distractions, address pedestrian and cyclist needs, and create safer roads for everyone. From speed display signs, speed trailers, variable message signs, recycled speed humps, and speed camera systems, Traffic Logix has everything you need to start your journey toward safer roads. Attending the Conference? Let’s get together and chat.